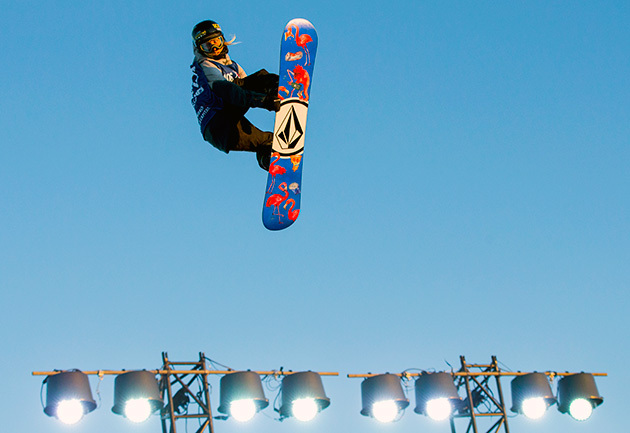 The return of women’s Big Air competition at X Games Oslo—after 15 years of exclusion—was a welcome nod to equality and underscored how important the event is to the progression of snowboarding skill levels. Now the trend needs to continue. Late last month, Christy Prior looked out onto the Norwegian capitol city of Oslo, marveling at the view of the city as much as at the scaffold-based jump, the site of the first women’s Big Air contest in an X Games competition in 15 years. Prior, having never hit a man-made jump before, came into the competition fully aware that she was throwing her safe trick, the Frontside 720 melon grab, and taking whatever place that earned her. Oslo wasn’t the time to be adventurous. Indeed, in the competition on Feb. 27, the New Zealand native’s 720 melon proved good enough for second place, behind only Oslo native Cheryl Maas’s backside 900 Tail Grab. Prior’s conservative approach to the event in general and the relatively subdued nature of the tricks displayed in competition overall speak to one of the great inequalities in the winter action sports world: the lack of women’s Big Air. The event is credited with helping the guys take massive steps in their own riding over the past decade, but has worn a “no girls allowed” sign since the early 2000s.
. When the games relocated to Aspen in 2002 Big Air, which had been open to both genders since 1999, was lost in the transition. At that point, the gulf between the technical level of tricks between the genders was one rotation. Nobody was flipping yet. The Big Air event returned to the Winter X Games in 2008. 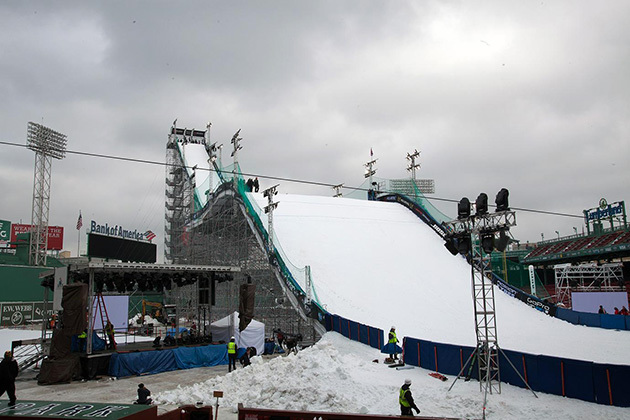 The men’s snowboard Big Air was reinstated and men’s ski Big Air was introduced for the first time. However, there was no such event established for the women. The first iteration of Big Air was a snowboard only event; female skiers had never known it, but female snowboarders who might have been excited to get the event back were disappointed. It turned out to be much more than just a bummer. The decision proved costly in terms of the progression in women’s skiing and snowboarding. Three years after the Big Air event was reinstated, X Games rookie Torstein Horgmo won the 2011 snowboard event with the first-ever triplecork, a move that combines spinning with three flips of the snowboard. Two years later, Stale Sandbech and Seppe Smits, Mark McMorris and Torstein Horgmo all brought down triplecorks in the 2013 final, setting off the arms race of technical snowboarding that now dominates the sport. in terms of the standard of difficulty required to make the podium. “When Henrik [Harlaut] landed his triple 1620 in competition, that was all the validation anyone needed that it could be done,” U.S. freeskier Bobby Brown says. “After that, it was just a matter of going for it. In the world of action sports, progression is the name of the game. If a rider wins a competition with a trick that is of a higher level than anything shown by the rest of the field, the field has no choice but to acquire some variation of the trick. Harlaut landed the first Triplecork on skis in 2013. The 2015 X Games ski Big Air final featured attempted triplecorks from every competitor in the field. Those attempts yielded big scores and equally big falls but, most important, the competition showed major steps forward in terms of the technical potential of the male skiers. In eight seasons since the inception of their Big Air event, skiers had closed the gap on the snowboarders. But for a decade and a half, female Big Air riders and skiers were left out in the cold. During the hiatus, the issue was overshadowed by the fact that women were able to participate in ski and snowboard Slopestyle events. The vast majority of riders and skiers favor Slopestyle to Big Air because it better displays one’s complete range of skills, but Prior is right in identifying the Big Air jump as the place where most of the progression we’ve seen in skiing and snowboarding has occured. The 70-to-80-foot jumps that have graced the base of Buttermilk Mountain since 2008 aren’t easy to come by anywhere else in the world unless you’re having one built by a sponsor. Without their own Big Air event, the progression of women’s riding has been stunted by a lack of opportunity to attempt tricks that have never before been done. Slopestyle or not, the lack of women’s Big Air has not gone unnoticed. Several big names in women’s skiing and snowboarding have been pushing for the return of Big Air, and while they were included in Oslo, it hasn’t been decided yet whether the women will be included on a natural Buttermilk jump. That vote of confidence aside, riders like Slopestyle queen Jamie Anderson have hatched plans to take matters into their own hands. In 2015, Anderson actually planned to crash the Big Air competition and take a run. Her plan was to do a Backside Rodeo or Frontside 720, the same trick that won Prior her silver in Oslo, but Anderson injured her ankle and in the end focused only on the events she was competing in. The onus to provide balanced opportunities within the events doesn’t just fall on the shoulders of the X Games. The FIS Snowboarding World Cup tour Big Air events were established in 2003, but excluded women until 2015, when Long Island native Ty Walker took home the first event win in Istanbul. The snowboard event at the 2018 Winter Olympic Games in South Korea will be open to men and women but not skiers of either gender; that’s the same format that Big Air adopted in 1999. Nearly 20 years later, the search for equality in Big Air might be coming to an end, but it’ll still be years before female skiers and snowboarders are able to close the gap on their male counterparts.